Howard Busbee earned a B.A. degree in Accounting from William & Mary, and J.D. and Master of Law and Taxation degrees from the University's School of Law. He is a CPA and a member of the Virginia Bar. He currently serves as a Clinical Professor of Business, Emeritus, with his teaching interests focusing on taxation and accounting. 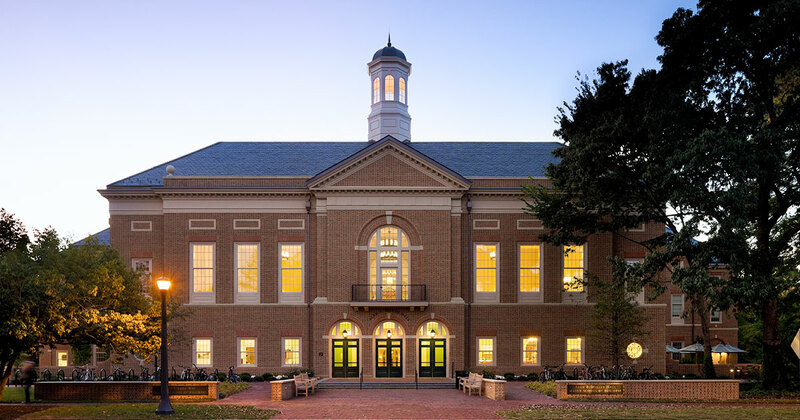 Howard's courses have included Introduction to Federal Taxation, Advanced Taxation of Business Entities, Estate and Financial Planning, Key Business Taxation Topics, Compensation and Benefits, Taxation of International Transactions, and Principles of Accounting. Howard joined the Raymond A. Mason School of Business in 2001 to assume the position of Assistant Dean of the Master of Accounting and Undergraduate Business programs. He held that position for four years, until becoming a full-time instructor in 2005. Prior to joining the Business School, he was a Tax Partner with 33 years of experience in the Philadelphia, Atlanta and Richmond offices of PricewaterhouseCoopers, and served as the firm's Southeast Regional Tax Director and on its Board of Partners. In addition to significant teaching and publication experience while a member of the firm, Howard provided tax planning services to a variety of publicly-held and middle market companies, in such areas as corporate federal and state taxation, international tax planning, mergers and acquisitions, closely-held business entities and personal financial planning for executives. Howard serves as Vice Chair of the William & Mary Real Estate Foundation, and is past Chair of the William & Mary Foundation and past President of the W&M Alumni Association. He is Co-Chair of the Robert Boyle Legacy Society and Vice Chair of the Olde Guarde Council, as well as a member of the President's Council, Law Dean's Council, Business Dean's Council and other groups at the College. He has served as a Freshman Advisor for students interested in majoring in Business, and as Co-Director of the annual William & Mary Tax Conference. Howard is a recipient of the College's Alumni Medallion, and the Law School’s Citizen Lawyer Award. Howard's professional and community activities have included service as President or Chair of the Atlanta Tax Forum, Atlanta Estate Planning Council, Academy Theatre, Theatre Virginia Board and the Richmond Private Business Study Group. He is an Emeritus Trustee of the Williamsburg Community Health Foundation and of the Foundation for Hospital Art. His other activities have included United Way of Greater Richmond and Virginia Special Olympics.